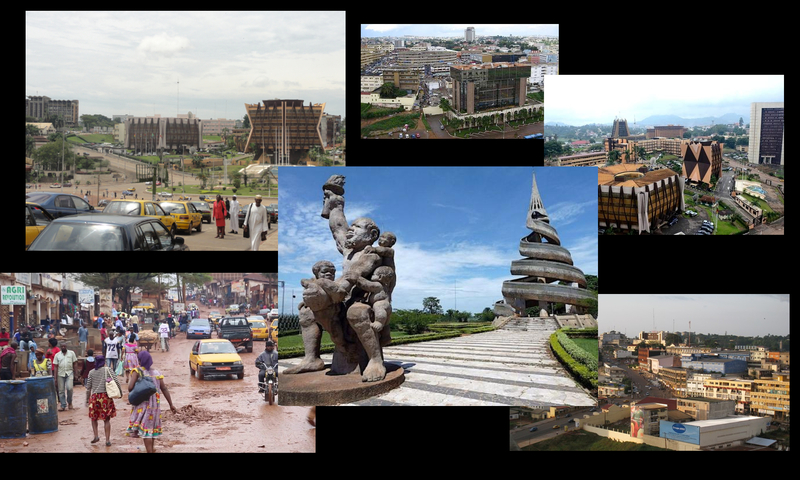 Yaounde the capital of Cameroon is home to a multitude of restaurant where you can combine relaxation and culinary flavor. Among these is the Black and White Lounge Restaurant located in Bastos. He offers all the specialties in all countries foods. His relaxing and pleasant setting with a majestic decoration will sublimate your stay. Moreover, if you love with romance, we invite you to discover Les Cigalons restaurant in Yaounde at the Hippodrome climb. Its captivating setting with its natural decoration offers you peace and tranquility. The place has a pleasant setting for romantic dinners every night or for all celebrations. Also as a restaurant you can not dream better than the Yaoba cabaret restaurant located in bastos. Yaoba offers a dream setting and an impeccable service for all evening outings with or alone. Further he has an orchestra for all lovers of play-back where the music is play live. There is Karaoke sequence for all and those who like singing especially if you are with family or friends. In Yaounde we do have La Salsa Restaurant in Rond Point Bastos which have good atmosphere. Pizza, French cuisines, Russian, Cameroon and others. An impressive setting, wide open space, indoor and outdoor seating. Be sure not to miss the speciality smoked master or marinade raw fish, a real treat for fans. You have also Espresso House in Bastos, this is a Yaounde staple. Serves a refreshingly diverse menu during day time and night time you have a perfect view of town with terrace. It attracts many guests, especially because of its convenient location in the embassy district. If you are discoveries lovers, there is restaurants in Yaounde where you can taste the local foods of the city. In this case Ebene woods restaurant located in front of the Mahima supermarket is the best one you ever see. You will find Yaounde typical foods such as Nkock or Sanga which are the main specialties of this city. I together with my buddies came reading the great recommendations from the blog while all of the sudden came up with a horrible feeling I never expressed respect to you for those tips. The people had been absolutely joyful to read through them and have extremely been taking advantage of those things. Appreciate your truly being considerably kind and for selecting this sort of tremendous subject areas millions of individuals are really needing to learn about. Our honest apologies for not expressing gratitude to you earlier. I must express my affection for your kindness supporting individuals who should have help on this particular issue. Your real commitment to getting the message throughout appears to be quite significant and have regularly allowed ladies like me to arrive at their ambitions. Your own important report signifies much a person like me and extremely more to my office colleagues. Thank you; from each one of us. Needed to post you one bit of word to thank you so much again for those stunning knowledge you have shared at this time. It has been certainly particularly generous of people like you in giving without restraint what exactly numerous people would’ve sold for an e-book in making some cash on their own, specifically seeing that you could possibly have tried it if you decided. The thoughts in addition served to be the great way to know that other individuals have similar fervor just like my very own to know the truth a great deal more regarding this issue. Certainly there are lots of more fun instances up front for individuals who looked over your site. I definitely wanted to write a brief comment in order to thank you for these precious information you are placing at this site. My incredibly long internet lookup has finally been honored with awesome facts and strategies to go over with my friends. I would repeat that we readers are undoubtedly lucky to live in a magnificent network with very many special professionals with useful concepts. I feel very much happy to have used your entire web site and look forward to many more brilliant minutes reading here. Thanks a lot once again for all the details.